Continuing its smart home buying spree, Amazon picked up mesh Wi-Fi network Eero on Monday, for an undisclosed price. Both companies announced the deal late Monday afternoon. We've got some big news: https://t.co/V3pYeYkBY0. By joining the Amazon family, we're excited to learn from and work closely with a team that is defining the future of the home, accelerate our mission, and bring eero systems to customers around the globe. Eero, which launched in 2015, is a $199 rectangular square box that can linked in multiples throughout a home. 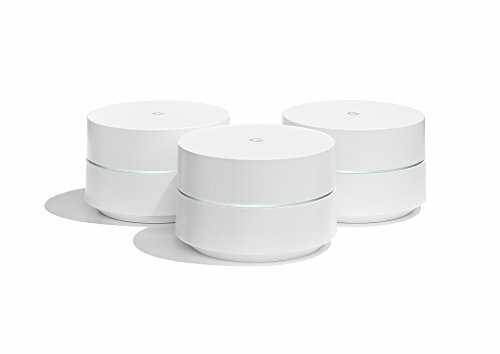 The goal of a mesh network like Eero's, is to bring Wi-Fi access points closer to where people use them, and eliminate those so-called dead zones — spots where Wi-Fi can't be accessed. A competitor to other Wi-Fi devices like Orbi, Portal and Google Wifi, Eero is fairly well liked. (GearBrain reviewed it well in 2017.) Amazon too noted that Eero's design stood out to the company, as a reason for the acquisition. While terms of the deal were not disclosed by Amazon or Eero, Amazon has in the past paid a hefty price for smart home companies. Its acquisition of Ring in 2018 was valued at a reported $1 billion, for example. One feature that GearBrain particularly liked about Eero is its family controls, which lets parents actually police how their children get online. Through the device, people can monitor internet usage, and even set a schedule for when they can, and cannot, get online. Eero also lets people run speeds tests when they want — a way to check just how quickly, or slowly, they're getting online. 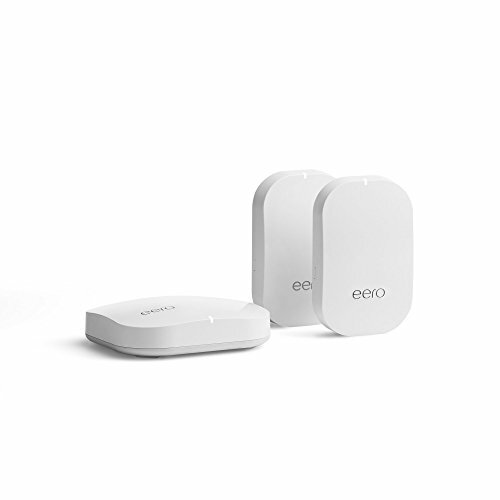 The company claims that setting up Eero takes just 10 minutes, although in our tests connecting two Eero devices together took a bit longer than that. "From the beginning, Eero's mission has been to make the technology in homes just work," said Nick Weaver, Co-Founder and CEO of Eero. "We started with WiFi because it's the foundation of the modern home. Every customer deserves reliable and secure WiFi in every room. By joining the Amazon family, we're excited to learn from and work closely with a team that is defining the future of the home, accelerate our mission, and bring eero systems to more customers around the globe."